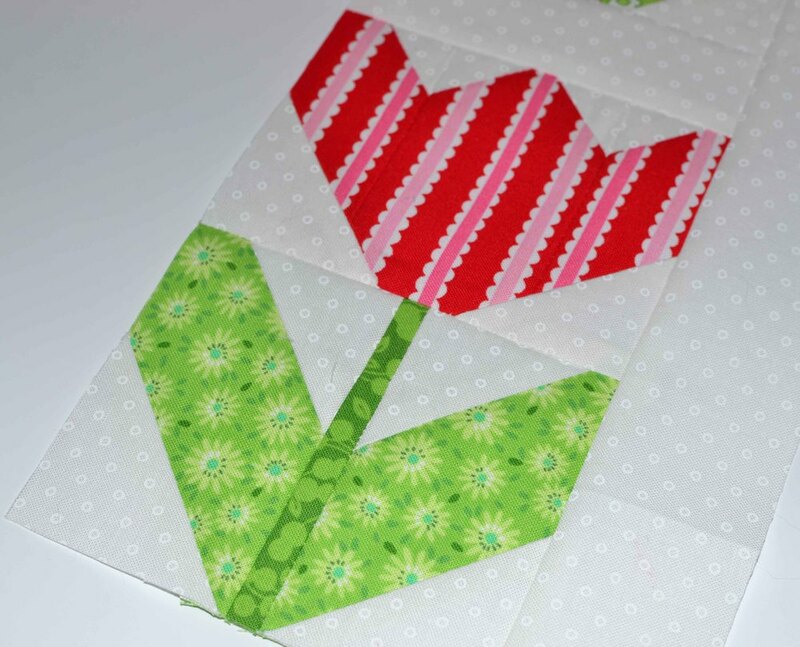 Still sewing along with Lori Holt's Quilty Fun Sew Along! Never mind that grouchy groundhog. This week's spring tulips have me absolutely convinced that Spring is almost here! I should probably admit that I spent a full week considering which Pam Kitty Morning fabrics to use for the tulips. First I pulled little dots, then plaids. But I REALLY wanted to try the stripes. And I am so glad that I did. The stripey tulip reminds me of those fun parrot tulips that I love. And I'd plant my own if I had a yard! I used a big pink dot to balance the wide stripes. I can totally imagine a whole quilt full of these tulips. Kinda like my great grandmother's flower beds. 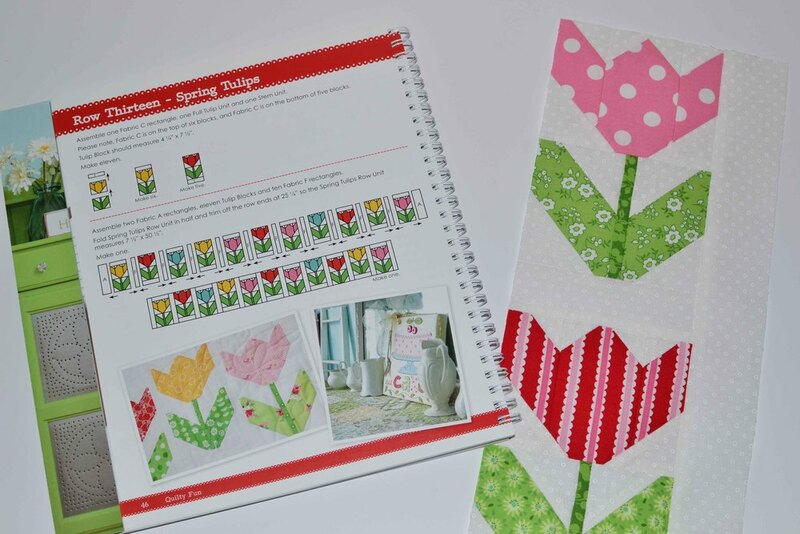 And there's even a pattern for a quilt packed with tulips in the Quilty Fun book! Next week we'll make falling leaves. What, falling leaves in February?! Well, mine will be bright and happy.